Coconut juice, also called “nariyal pani” in the Hindi language, is the transparent liquid found in young, green coconuts. Coconut juice benefits are often highlighted in commercials as a natural replacement for sports drinks. These commercials point out that the juice comes with low levels of calories, carbs, and fat, and are an excellent replacer of electrolytes. So, coconut juice is a very refreshing and reenergizing beverage. It is now used around the globe. It has a sweet taste and it includes a wide range of unique, natural chemicals including vitamins, sugars, electrolytes, minerals, amino acids, enzymes, phytohormones, and cytokines. It turns out that coconut juice benefits our hair in a couple of ways. First of all, this juice creates antifungal and antibacterial effects that keep the scalp safe from dandruff and support hair growth. Next, coconuts are loaded with a wide range of nutrients including iron and Vitamin K. Nutrients like these are crucial for keeping the natural softness and shine of hair. The same nutrients moisturize the hair and provide natural conditioning for the hair (both inside and out). This juice can be drunk or used as a shampoo. 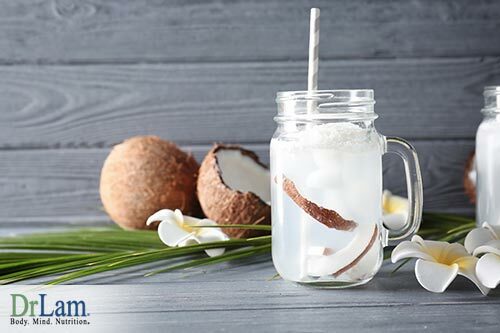 Many men will be excited to hear that coconut juice can also help them prevent hair loss because it enhances blood flow in the scalp which ultimately makes hair follicles stronger. On the other hand, if you use coconut juice as a solution before you take a bath, you will be able to tame your unruly hair and make it softer. Finally, this juice keeps us safe from hair breakage more article. Thanks to the high number of antioxidants, which fight free radicals, coconut juice benefits are good for the skin too. So, it is no wonder why this juice is part of alternative medicine too. Coconut juice is used for blemishes and acne. If you wash your face with coconut juice on a regular basis, you can also get rid of black spots, acne, blemishes, and wrinkles. 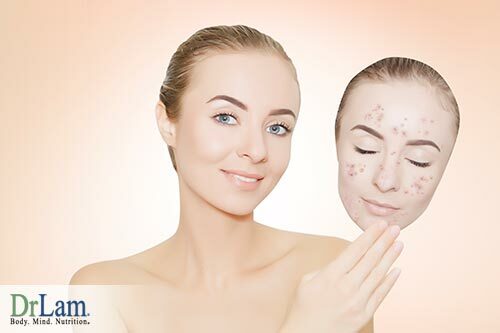 If you want to use it to remove sun tan and bring back the glow and radiance of your skin simply mix Multani mitti (also known as Fuller’s Earth, a type of clay) with coconut juice and utilize this mixture as a natural scrub every day. Coconut juice has helped many people with oily skin too. It diminishes shine and offers a natural glow. What’s even more important is that this liquid can help people fight skin infections too. The antimicrobial, antiviral, healing and antifungal effects it creates, protect the skin from different infections. You can use it directly on the skin or mixed with bathing water. 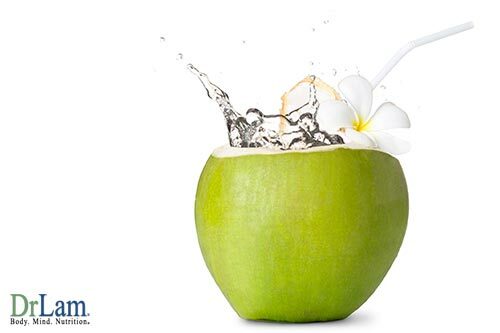 Coconut juice also hydrates the skin, prevents premature aging and improves oxygen circulation. The list of Coconut juice benefits uses for overall health is very long. Coconut juice is known for its ability to boost metabolic rate, fight free radicals, lower blood pressure, and aid diabetics, support weight loss, fight stress, increase energy and fight dehydration. Another thing that makes coconut juice special is the fact that it can help people dealing with Adrenal Fatigue Syndrome and those that are witnessing problems with their stress response systems. Before we go into detail, let’s explain these terms. Adrenal Fatigue Syndrome, or AFS, is a result of the adrenal glands that are supposed to produce a lower amount of hormones. Typically, in a situation like this, the adrenal glands are not producing enough cortisol or the aldosterone hormones are producing too much adrenaline. What is NEM Stress Response? Stress is one of the most common causes of many modern health problems, deficiencies, conditions and imbalances. The way our body responds to stress can determine our overall health. NeuroEndoMetabolic (NEM) Stress Response represents a complex web that includes organs and systems that are interacting with a large network. This stress response network coordinates all the organs and systems when the body is stressed. How does coconut juice affect AFS and NEM stress response system? Generally speaking, coconut juice brings benefits to those dealing with these health issues. To start with, coconut juice is rich in sodium and potassium. These two nutrients are very important for the proper hydration of the body. Sodium is found in the extracellular solution of every cell and supports the absorption of water in the cells. On the other hand, potassium is found in every cell and its main objective is to soak up water into cells. These properties make these nutrients great against adrenal fatigue syndrome because their imbalance can make the situation much worse. Coconut juice is an excellent source of both minerals and electrolytes. It’s good to know that this juice is not usually advised to people dealing with adrenal insufficiency because of the high level of potassium in it. Coconut juice also boosts the NEM stress response, helping the body fight excessive stress in a natural way without any negative consequences. Many experts recommend coconut juice as a natural dietary supplementation because it also has the ability to balance your hormones. Needless to say, this is one of the most important parts of the AFS recovering process. Keep in mind that overuse of coconut juice can lower blood pressure and this is something that doesn’t support the recovery from adrenal fatigue. If you are already using medications against hypertension, use this juice in smaller amounts in order to avoid side effects. Another reason why coconut juice is great, for adrenal fatigue syndrome sufferers, is the fact that it supports the stabilization of the weight of adrenal glands which are usually heavier and larger in AFS sufferers. The antioxidant and anti-stress properties of this drink can achieve such results. If you are in advanced stages of adrenal fatigue, be careful with coconut juice. Coconut juice contains a lot of potassium, which can tip the delicate electrolyte balance in your body if not taken with care. Not Your Average Probiotics: Try Microbiome-optimized BIOM Probiotics !